We are excited to be a part of THREE great wine events this weekend. If you’re in and around Anderson Valley, CA this weekend, Thomas and I will be pouring our pinot gris, riesling, muller-thurgau and pinot noir at the Grand Tasting at the Mendocino County Fairgrounds in Boonville. Stop by and say hello and enjoy ours and other Alsace-style wines from around the world, plus food and music. Tickets are $65 and are still available online at Anderson Valley Winegrowers Association. This incredible tasting showcases gold medal wines from over 4,800 entries of over 1,200 wineries throughout the United States. Our 2006 Winemaker’s Selection Pinot Noir was given the gold so it will be featured! The tasting is held at the Fort Mason Center and is much more than just a wine tasting – it’s a wine and food experience. Featured at this event will be a sampling of hand crafted creations from premier artisan food purveyors, which will include award winning artisan breads, savory meats, exotic oils, hand crafted cheeses, delicious desserts, sumptuous sauces, and other exquisite delicacies. Enjoy! Tickets are $60 in advance or $80 at the door. To purchase, click here. Last but definitely not least we are very excited to be part of the Minnesota Monthly Food & Wine Experience. We are new to Minnesota so go out and taste the new kid on the block! Anne Amie’s Winemaker’s Selection Pinot Noir will be featured at the reserve tasting on Saturday at the Convention Center. Enjoy a weekend of lip smacking, glass clinking, celebrity watching, swishing, swirling, mouthwatering events! You won’t want to miss the fine wines, specialty beers and delicious gourmet food sampling! Increase your food and wine IQ from some of the country’s best chefs, authors and wine professionals. Plus, shop for the latest culinary products, gadgets and more! All tickets are limited, so put your snow shovel aside and warm up your taste buds at the most delicious weekend of the year. Thanks to our distributor partners and loyal customers for all of the support! Join Viticulturist Jason Tosch and I along with 50 other Oregon wineries in Seattle on March 11th for an evening of Willamette Valley wines. Enjoy this unique opportunity to taste the wines of 50+ Oregon wineries, both large and small, at Willamette Valley Wineries first tasting in Seattle. 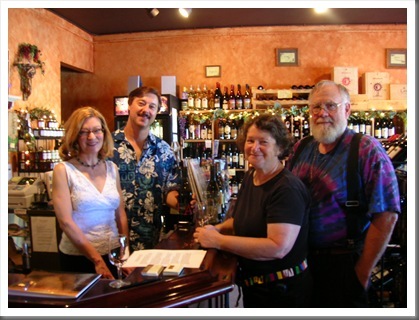 Meet the faces behind the wine in a casual and personal setting. Winery owners and winemakers will showcase their current releases including Pinot Noir, Pinot Gris, Chardonnay, Riesling and other cool-climate varietals. Wines will be complemented by delicious Pinot-friendly appetizers featuring regionally sourced ingredients from sustainably focused producers. Join the Block Party! Get to know the Willamette Valley’s special wines and enjoy a taste of our unique place. To purchase tickets visit the Willamette Valley Wineries Association website or click here. Note: Tickets will be mailed starting February 1. Tickets are non-refundable after February 14, 2010. Tickets are limited and the event can sell out. Advance purchase is highly recommended. This event involves the tasting of alcoholic beverages. Ticketholders must be 21 years of age or older. If you have any issues purchasing tickets online or have questions, please call 503-297-2962 or email us at info@willamettewines.com. Trade Tasting: Trade tasting will take place from 2-5pm on March 11. Click here for more information and to reserve a space (advance reservations required). I have just left Little Rock and the Capital Hotel. It is bittersweet, in that I have other stops on my journey through the South, but I could easily settle in for an extended stay at such a wonderful hotel with such an excellent staff. Two people specifically are to thank for their hard work and attention to detail- the two Lees. Lee Richardson is the executive chef at Ashley’s, the crown jewel for dining in Little Rock, and his counterpoint front-of-house, Lee Ingold, is the maitre d’. Collectively they run a tight ship- by ship, I mean restaurant. It was my third trip to Little Rock, the first being the Emeril fundraiser, when I first was able to experience the wonderful skills of chef Lee. The night after the fundraiser chef Lee sat me at a table and, without a menu as a guide, food started arriving and kept coming, course after amazing course, until I literally could not take another bite! It was right then, in my food stupor, that I hatched the idea of a wine dinner at Ashley’s. 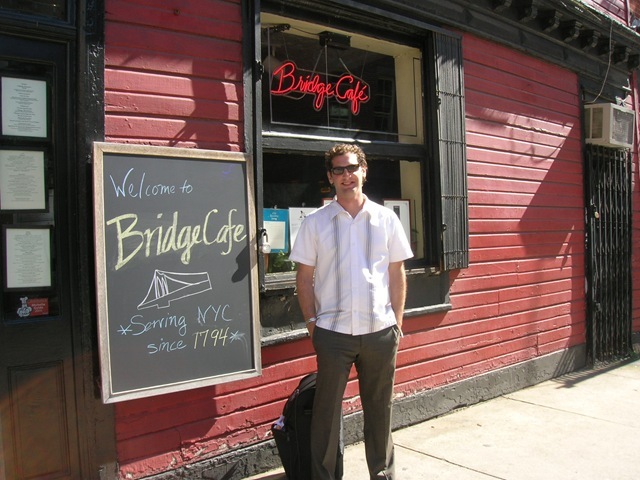 It took a few years to materialize, but here is the menu and some photos from the dinner. If you’d like to see more photos from the dinner check out Ashley’s kitchen blog. As you can probably see from the photos and from the tenor of my post I have a soft spot in my heart for Ashley’s and much of it has to do with the two Lees and their wonderful staff. That said, the entire experience at the Capital Hotel from the moment one arrives is one of polished calm. Thanks to everyone at the Capital Hotel. I’ll be back! I’ve traveled to many places and seen some amazing sights, but what makes a place truly special AND what lures me back time and again are its people. Vermont is one of those rare places that has both natural beauty and genuinely great people. and the location of my first wine dinner. A*summer* view from the back patio dining area. rough-hewn beams and stone walls. enjoy the company of our guests. My second wine dinner was at NECI (New England Culinary Institute). food and wine from Chef Michael Gunyan and Ed Boadway. the 2007 Prisme’. Judging from the response of the guests, it was a hit! to the other. Road trip!!! Nothing keeps me alert and on the lookout for an errant moose like sugar. There’s no better place to stop for sugar in Vermont than Ben and Jerry’s! Interesting how much they use “Amrita Blue” in their color scheme…. prefer Amrita over the leading Oregon white wine blend! to also make tasty wines. am I lucky enough to visit a beautiful state with such wonderful people. a tough working trip so much fun! People often ask what inspired me to become a winemaker. And, inevitably, the story, no matter how it starts, always comes back to this tree. You see, every morning when I raised the blinds in my apartment in Astoria, Queens, this was my view of the world. If the tree had no leaves, I knew the wait for the subway would be bracing. On a day like today, where young leaves are popping out on trees all over New York City, I’d probably open the window to let out winter’s stale air and breathe in Spring-exhaust fumes, car alarms and all. If there was a full canopy of green, then I knew summer was upon New York, with all the languor and humidity that comes with warmer weather. And, if the leaves on my tree were turning golden, it was my cue to head to Central Park to walk amongst the palette of Fall colors that are so fleeting in the City. This tree was my one true connection to all things natural. 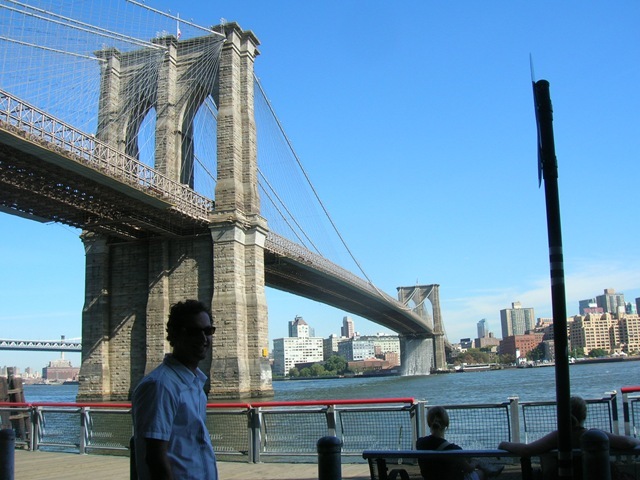 It was a barometer for the passing seasons, and likewise, my time in New York. It was from this vantage point that the seed for winemaking was planted. It was in the kitchen of this apartment, whose very window faced this tree, that I started brewing beer. I was in this kitchen that I fell in love with the science fermentation. It was on the stove next to this window that many experimental batches of beer were brewed- some good, some great, and some….. well, some exploded! And, in time, it was from a tiny table next to the window, with this tree as my only witness that I started scribbling a list. 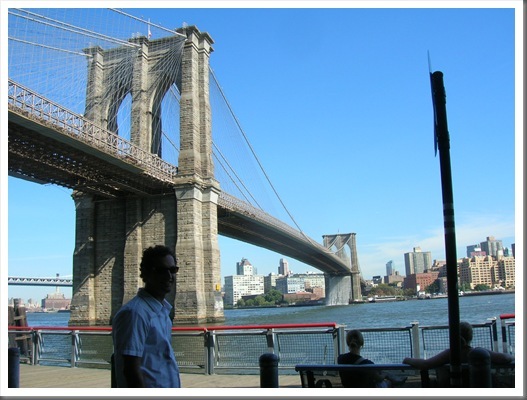 On that paper I started to list the pros and cons of my life in New York. I knew I loved dance. I loved moving through space and the challenge of creating new dances. I relished performing for audiences, feeling their energy from the dark void at the edge of a lit stage. 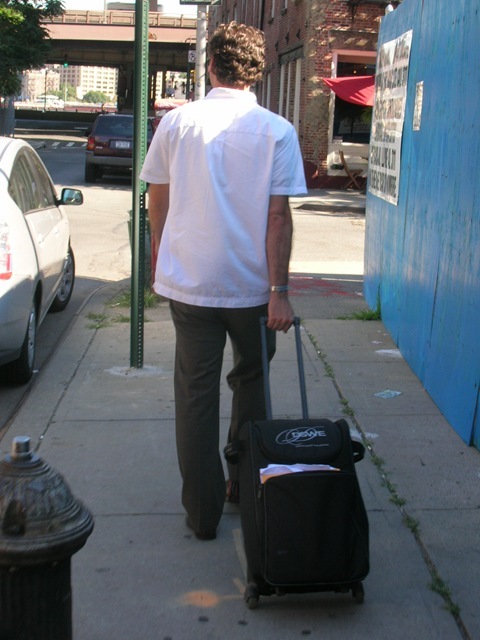 I dearly loved traveling and experiencing new places, even on the tight schedule and budget of a dancer. And, as I mentioned already, I was falling in love with fermentation. The other side of the list contained what I was missing in my life. 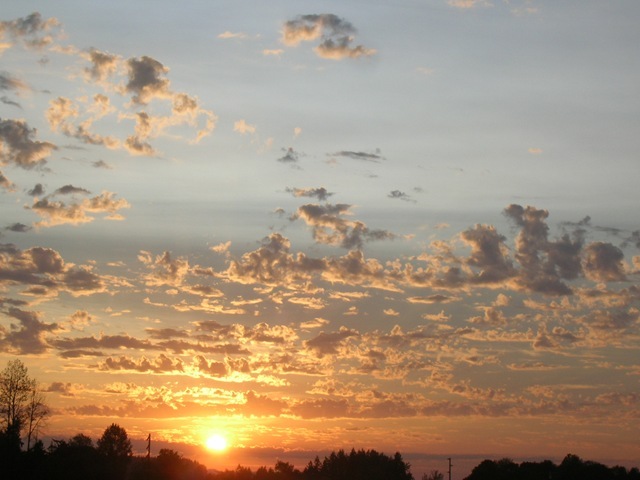 At the top of that list was a series of things related to nature- sunrises and sunsets, seasons, stars, and growing things. There were many more items on the list I am sure, but I can’t recall them anymore. From that list came the first nebulous notion of making wine. After a trip to California visiting wineries and looking into wine schools, I came back to Astoria and started the process of untangling myself from New York. 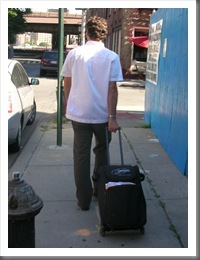 It was a summer day when I loaded all my belongings into my VW bus-all under the shade of the tree outside my window. That was the last time I saw that tree until today, almost 10 years from the day I packed up and drove away to my new life making wine. A decade later I am making wine in a place I truly love, working with wonderful, creative people who believe in the wines we are crafting. 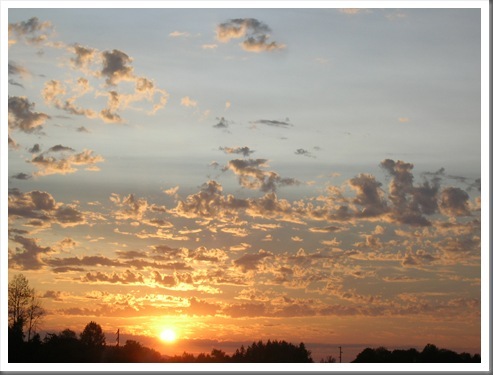 I have witnessed some amazing sunrises and sunsets in that period of time. I have traveled the globe learning about and making wine. I am extremely happy with my decision to uproot myself from dance and transplant that artist into the arena of winemaking. The things on the list I enjoyed about dance- being creative, making people happy, traveling and learning, and lastly, fermentation, have all become an essential part of me “the winemaker”. As I sit in a Greek cafe’ in my old neighborhood in Astoria, drinking rich creamy coffee and eating sticky, crispy, cinnamon and pistachio-infused pastries, my mind drifts to the view from my new home- Anne Amie Vineyards. I made the right decision ten years ago. Enjoy the view from outside my window now! Mauro and I visited a number of retail shops throughout the day including Pasanella and Son owned by a local designer Marco Pasanella. 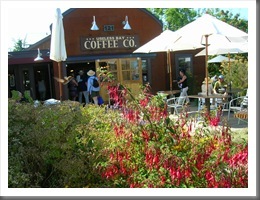 Wines are arranged by the foods they pair with and the shop is vintage cool. 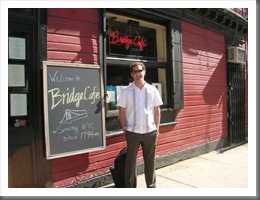 We stopped for lunch at the historic Bridge Cafe located right beside and almost under the Brooklyn Bridge. This gem is hidden down on the old cobblestone streets of the financial district - was built in 1794 and is the oldest drinking establishment in NYC. 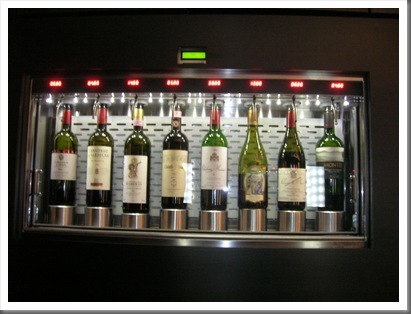 They serve both our pinot noir and Amrita by the glass. The food was incredible. One taste of the roasted autumn squash bisque with ingredients so fresh I felt like I was back in Portland. My favorite find while in NYC was the very hip new wine shop and bar Clo, recently opened by sommelier Andrew Bradbury (formerly of Las Vegas' Aureole) in the Time Warner Building. 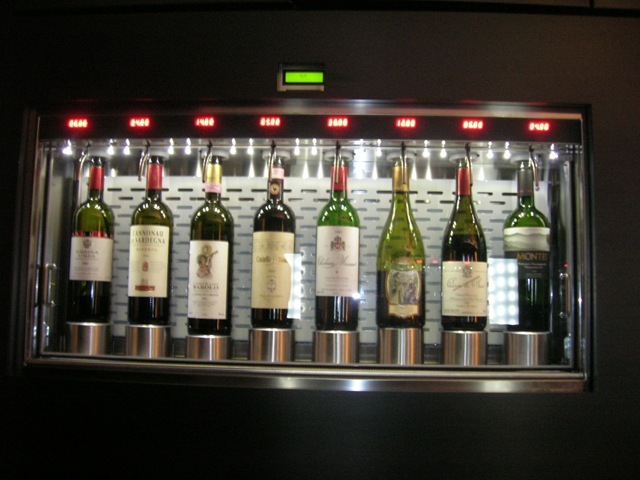 Clo sells wine by the pour in an enomatic system and has an incredible digital catalogue (pictured below) that beams down on the bar counter giving consumers instant information at their fingertips. I visited the bar initially to see hand blown glass decanters that my boyfriend created for Clo (glass cases surround the bar showcasing awesome glassware - lucky for us they're all available for purchase). 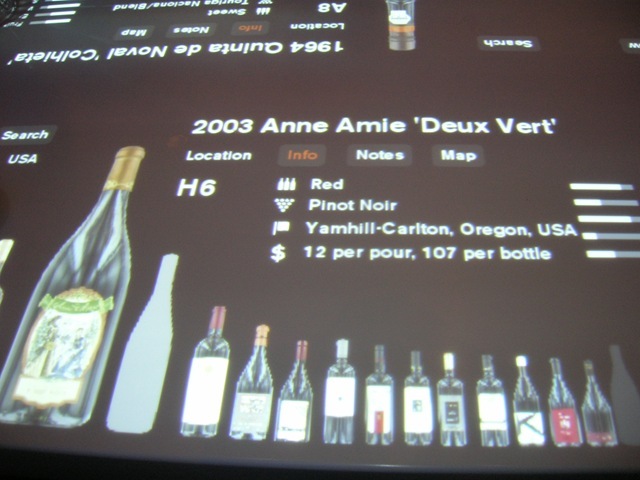 Imagine my excitement when I saw Anne Amie's Deux Vert Vineyard Pinot Noir alongside the other great wines! Day 1 was a great experience getting to meet like minded wine enthusiasts and seeing much of the great city of New York in the process. Exhausting but worth it - thanks Mauro! Stay tuned for New York Day 2 and my visit to the land of Bill & Hillary Clinton and the Headless Horseman of Sleepy Hollow...Westchester. I have a very bad habit of taking photos while I'm driving. It's terribly easy to get carried away with the pacific northwest sunsets. The photo above is one I took on my way to Whidbey Island, Washington a few weeks back when I was headed up for an in- store tasting with Cole from our WA distributor, Cascade Trade. Whidbey Island is simply gorgeous. The south island and more specifically Langley is a sweet little town full of artists, amazing shops and restaurants and you can feel the sense of community the moment you get off the ferry. 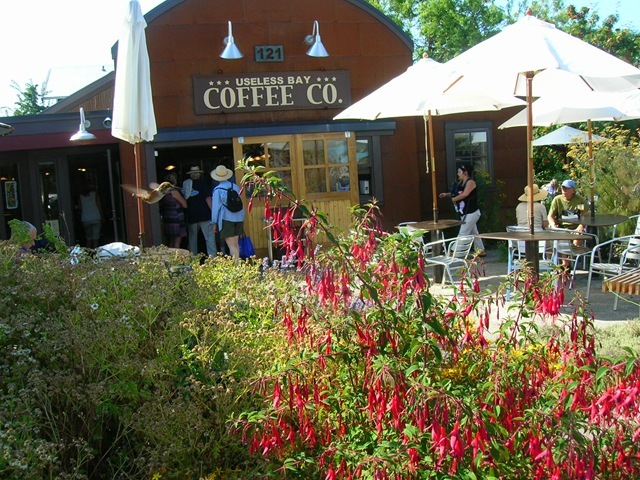 Cole and I started our Saturday morning at Useless Bay Coffee Company where we sat out in the sunshine and enjoyed coffee and live music before heading to the tasting. 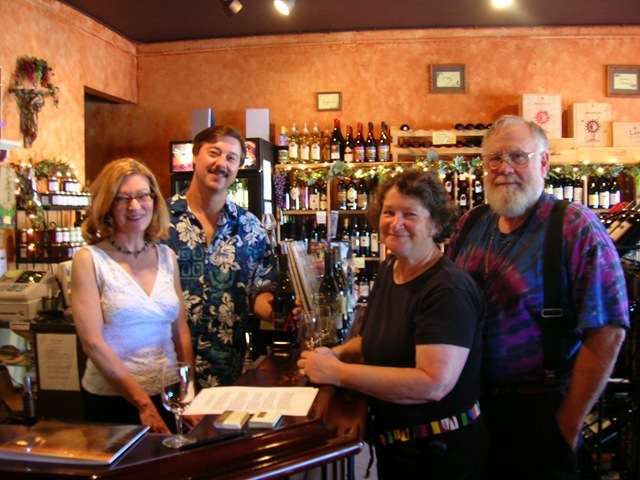 The in store tasting was at Vino Amore a great little wine shop owned by husband and wife team Brian and Gail pictured behind the bar below (who are not only entrepreneurs but great local actors as well!). After our day of tasting we headed to the wonderful Prima Bistro where we were joined by Chef Sieb Jurriaans and Star Store owner Gene Felton. I didn't get to spend nearly enough time there but thankfully it's very close so I'll be back. For all of you looking for a peaceful little getaway, Whidbey's the place - and drink some Anne Amie wine while you're there! 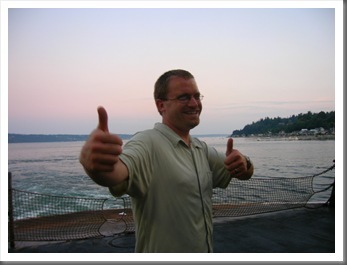 Thanks to Cole, Brian & Gail and Chef Sieb for a fantastic day on Whidbey! P.S. 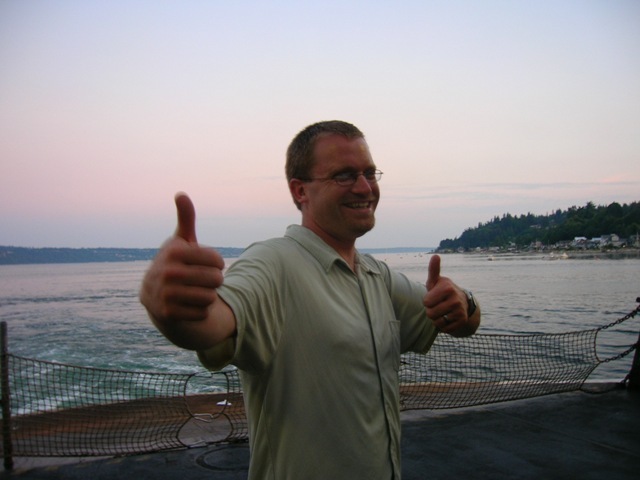 Congratulations to Cole (pictured below on our ferry ride back to the mainland) and his wife on the arrival of their first child - Camile Rose Ratliff a couple weeks ago! A few weeks back our amazing West Los Angeles Henry Wine Group sales team lead by Regional Manager Jenna Chevigny visited us for an afternoon at the winery. 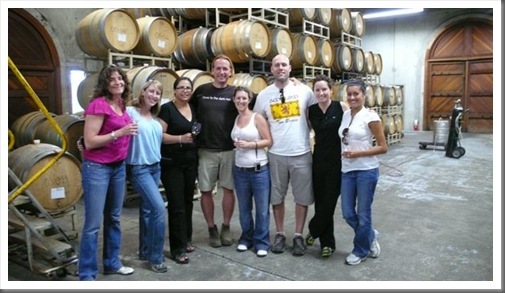 Pictured above is winemaker Thomas Houseman with the dream team after tasting through the 2007 pinot noir barrels. Thomas and I flew down to Newport Beach for our California distributor Henry Wine Group's general training meeting last Friday. Afterwards we headed up to Los Angeles where we spent the weekend checking out the culinary scene there. On Saturday, we enjoyed an amazing brunch at Campanile Restaurant. Originally built in 1929 by Charlie Chaplin, La Brea Bread Company and Campanile were opened by famed Chef Mark Peel in 1989. Both have been the recipients of numerous awards and nominations including James Beard Outstanding Restaurant Award and Best California Chef. Thanks to GM and wine director Jay Perrin for taking the time to taste through our wines. 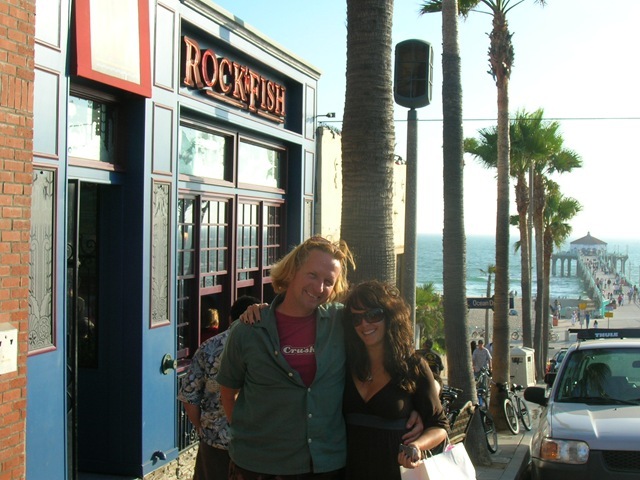 We also visited Manhattan Beach where we hit the very hip and beautiful Shade Hotel and then Rock'N Fish for delicious artichokes and oysters which pair perfectly with the 2007 Cuvee A Muller Thurgau! You'll be seeing our wines on all of these lists soon. Thanks to Cynthia for being such a great hostess. 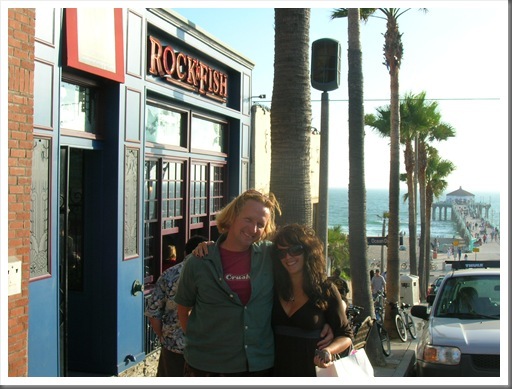 Pictured above, winemaker Thomas Houseman and me outside of the Rock'N Fish in Manhattan Beach. 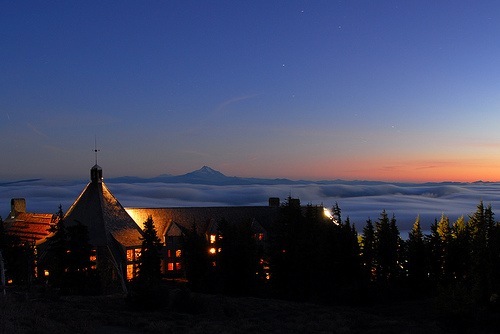 Timberline Lodge might be best known as the beautiful historic lodge on the side of Mt. Hood at 5,960 feet that was built entirely by hand by unemployed craftspeople in the 1930's. It also might be well known because of its use in the 1980's movie The Shining as Jack Torrance's (Jack Nicholson) home - the Overlook Hotel. 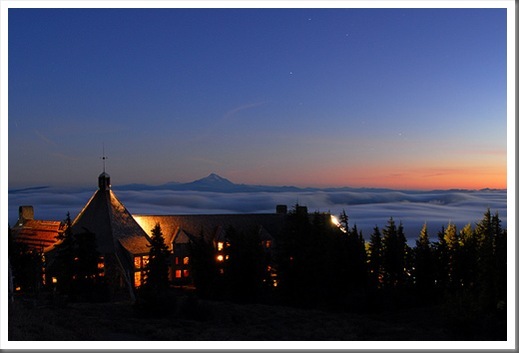 But here in Oregon wine country, we appreciate the Timberline Lodge for promoting and featuring the very best of the Northwest on their award winning "Best Oregon Wine List". 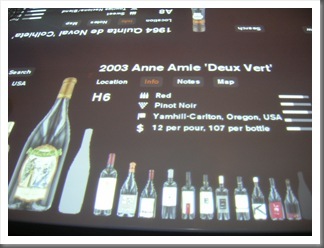 Anne Amie is especially grateful to have a number of our wines on this prestigious list. You can now taste our newly released whites including the 2007 Estate Riesling, and 2007 Cuvée A Muller Thurgau as well as our 2006 Cuvée A Pinot Noir and 2005 Winemaker's Selection Pinot Noir. 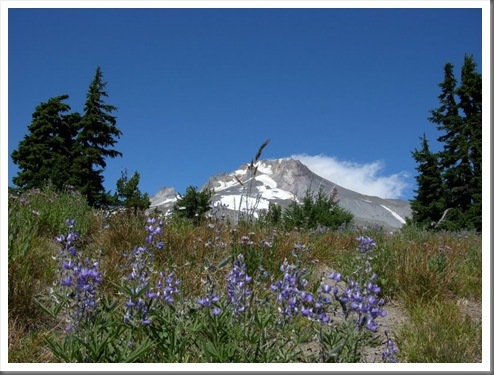 So, if you find yourself at Timberline either in winter for our amazing ski season or in summer for our amazing everything else season, do yourself a favor and eat and drink the Northwest region's bounty in food and wine at the Cascade Dining Room.